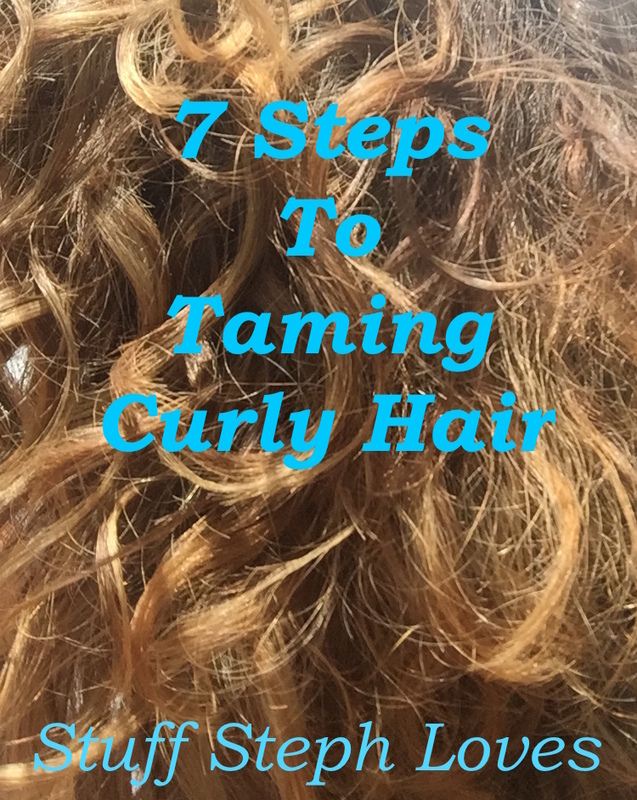 Stuff Steph Loves – 7 Steps to Taming Curly Hair!! I have little feet that look good in most shoes. And I am also the only one in my household that doesn’t have jacked up toes. (High standards here!) I love my feet and have a shoe wardrobe that confirms that. But I digress, it was a serious surgery that landed Eric in the hospital for almost a week. Our parents were wonderful to help with our three kids, so I could stay with him in the hospital. I rushed home to shower and kiss the kids before I went back to the hospital each day. One day I skipped drying my hair because it just took too long. I had never gotten so many compliments on hair as when I left it curly. Well that was all it took for me to embrace my natural hair. Looks better and was a heckuva lot easier? Yes, please!! Curly hair is tough to figure out how to work with though. And I am not at all saying that I have mastered it! However, I have found what works best for me. I have been asked several times to write down the products I use or to send a picture of my stash. So voila. Instant blog post. 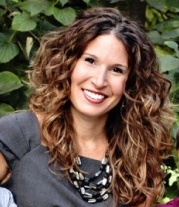 Get a Good Hair Stylist – I think the most important thing with curly hair is to find a good stylist. My hairstylist, Audrey, is so good with curly hair. She knows just how to cut it so that it lightens the weight and my curls aren’t weighed down. She does it just right so that it doesn’t look choppy either. I find the best way to find a good stylist is to ask someone who has similar hair that you love! Quit Washing Your Hair – Well not all together because that would just be gross. My stylist was also able to educate me on how best to take care of my hair so that it doesn’t get too frizzy. I found out that I was washing my hair way too much and it was stripping the natural oils from my hair. I had been washing my hair every day. I liked a wet palette 😉 Now I wash my hair Sunday morning (Jesus deserves clean hair) and Wednesday morning. That in itself made a HUGE difference with the frizz factor. Dry Shampoo is Your Friend, Dirty Girl– The transition was hard for me when I stopped washing my hair every day. My friend, Ginger, introduced me to dry shampoo and that helped a TON. 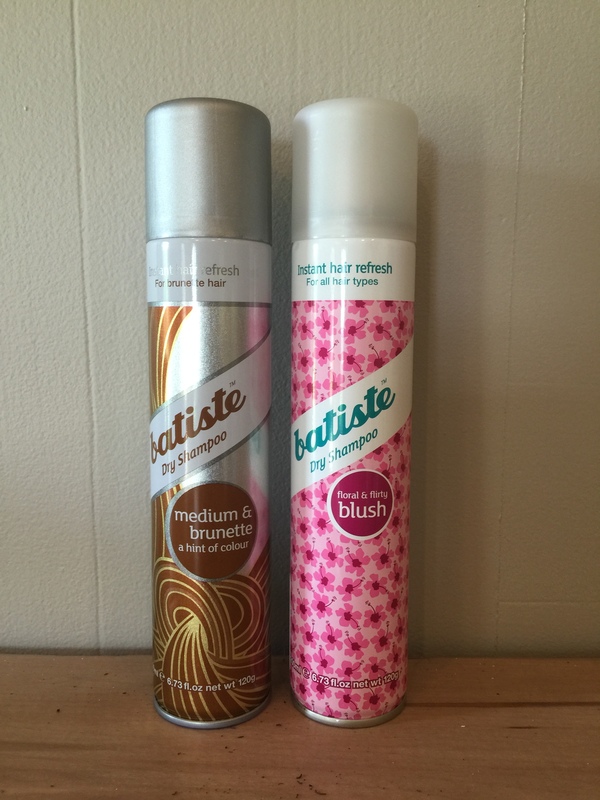 I found that I love Batiste. Being a brunette, I absolutely love that they have a formula specifically for dark hair so you don’t get white/grey spots. Nothing worse than having a granny spot from your dry shampoo! Make sure you hold the can about 6 inches from your roots when you spray. I spray then flip my head upside down use my fingers to work it into my roots. Flip back over – instant “clean hair” with a little more golume and it smells AMAZING. My BB Concoction – On days that I wash my hair or even just wet it, I have magical little Bumbl e and Bumble concoction that I use. First I towel dry my hair – patting not rubbing – think frizz!! 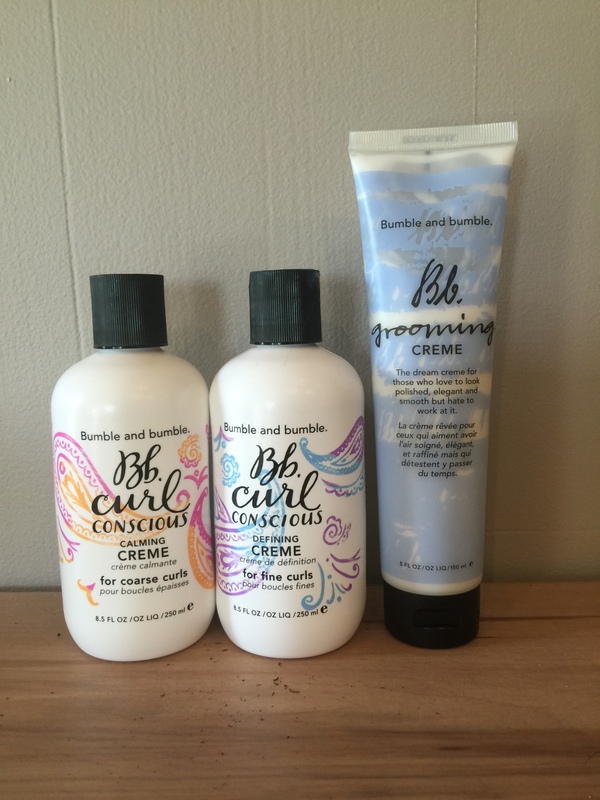 In the summer I use three products: Bb Curl Conscious Calming Crème, Bb Curl Conscious Defining Crème, and Bb Grooming Crème. (I add the Calming Crème in the more humid months to give my hair an extra frizz fighter!) I squeeze a dime size of each in my palm and mix them all together. I have a lot of hair, so you may not need as much. I work them into my hair from the ends to my roots. These products are awesome, but they are expensive. We are talking around $30 a pop which is kind of crazy. However, you don’t use a lot so they will last you a long time…like several months. And I don’t use them every day. If I wear my hair up, I use my drug store go to – L’Oreal Curve It. Works well with no crunchy curls, but it just doesn’t define my curls as well. But who cares? My hair is up! Get a good diffuser. I generally blow dry my hair. If I let it air dry, it won’t be dry until I go to bed since I have so much hair! When I do let it air dry, my hair is more wavy than curly. The diffuser helps my curls spring up a bit more. I don’t have a fancy one. I just got whatever hairdryer had a diffuser that attached at Target. When I dry my hair, I flip my head over to dry the top then flip it back to do the bottom layer. My Secret Weapon – Audrey introduced me to my favorite product ever this spring. 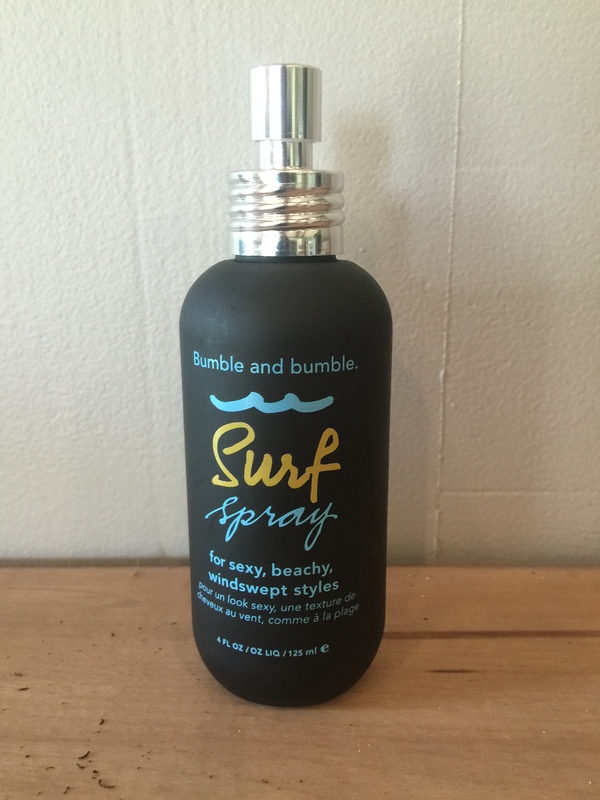 It is Bumble and Bumble Surf Spray. I spray it on my hair when it is about 85% dry. You gotta be careful with this though! Not too heavy or you will look like you have been taken out by a wave not gently spritzed with the ocean surf 😉 We are heading to the beach next week and we will see who does a better job – The Ocean or my Surf Spray! Finishing Touches – On days that I want to be a little fancier – and let’s be honest, that’s most days – I go the extra mile. I have a 1.5” curling iron that I spiral curl the top layer of hair. The important thing to do if you curl, is to rotate the way you curl, so they don’t stick together in one big ole curly cue. So I curl one forward then the next towards the back. I focus on the ones around my face and the top layer around the rest of my head. Flip my head, fluff so they don’t look so sculpted, and Voila! On days that I did not wash my hair, I spray the dry shampoo on before I fluff and separate the curls. From the time I step into the shower to when I step in front of the kitchen island to start my duties as short order breakfast cook, it takes me an hour. Maybe a little longer if I am reading my Kindle while I am getting ready and I am at a good part 😉 Of course as I mentioned, that is because I have a lot of hair. On days I need to get up and go a little more quickly, I have a few easy up-do’s that are easy and look fancier than a ponytail. Because if you can’t tell, I am a little high maintenance. But that is ok, I am embracing who I am. High maintenance with pretty cute curly hair. oh, my! I’m glad I like my hair short!